bet365 Gold Cup Chase 3m5f Sandown Saturday – I hope you backed last week’s selection, Vicente, in the Scottish Grand National. What a great race he ran, always travelling comfortably, just off the pace, he stayed on really strongly to outstay Alvarado and See You At Midnight and won with something in hand at the rewarding odds of 14/1. 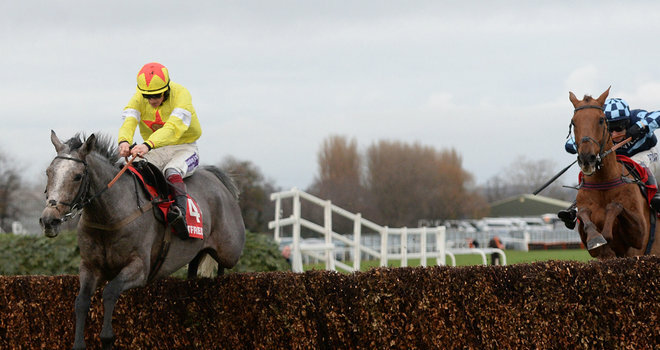 Only seven, he is going to be a force in staying chases next season, and is one to bear in mind come Aintree in April. Our E.W. selection, Royale Knight, also ran a cracker and looked a possible winner approaching the second last, but could only run on at one pace to hold onto 4th place at odds of 20/1 in the 28 runner field. All in all a very satisfactory result! Saturday’s contest looks just as difficult a puzzle to solve but here are some suggestions. Peter Bowen’s 8yo, Henri Parry Morgan has only run 5 times over fences, and having finished last in the first of them, he got rid of his jockey in the second. However his last three runs have been much more promising, winning easily at Chepstow (2m7 1/2f) at the end of Febuary off a mark of 122, and then trotting up at Uttoxeter three weeks later in a very good time for the conditions, off a 13lbs higher mark. Last time he took a step up in class when finishing a good second in a Grade1 3m chase at Aintree where he had the talented Blaklion 3 1/2l back in third. He is clearly an animal on the up, and as his dam is by that great influence for stamina, Over The River, even more can be expected tackling Saturday’s trip. Although up 14lbs since his Uttoxeter,stroll in the park, he is well worth considering. Neill Mulholland has three entered at the time of writing and two of them, Carole ‘s Destrier, and The Young Master are of definite interest. The former has had a very light season having run only three times since last April, and put up a very telling performance in the second of them, when registering a comfortable course and distance victory last December off a mark of 146 under Noel Fehilly. His talented trainer has only run him once since, avoiding the heavy winter ground, (p/u at the festival) and arrives here a well handicapped (151) and fresh horse. One for the short list! His stable companion The Young Master had the 2014 Badger Ales trophy taken off him due to a technicality but went on to win an Ascot handicap off a mark of 144 the following month. He hasn’t hit the back of the net since but did finish a staying on 3rd at the festival, (3m1f) albeit beaten 16L. He won a 3m3f heavy ground hurdle race as a 5yo so could be well suited by Saturday’s trip and off a mark of 148 looks well treated. Presumably he will be ridden by his part owner, the very useful 3lbs claiming amateur R. Waley-Cohen, giving him a nice racing weight of 10st 12lbs. Well suited by a right hand track he has plenty to recommend him. With Nicholls and Mullins going head to head for the trainers championship the outcome of Saturday’s contest could be of huge significance, and at the time of writing they account for seven of the weekend contenders between them. Nicholls best chance would seem to lie with the 8yo Southfield Theatre who races off a mark of 150, and if successful would give the Ditcheat handler his fifth success in the race. This time last year he looked an animal going places with three chase victories and a second to Don Poli in the RSA to his credit, but this season things haven’t gone to plan. He was sent off a 7/2 chance in a three runner affair at Sandown in November, but after a poor round of jumping finished a remote last, 44L behind Coneygree. He again finished last in his next race, this time 56L behind Don Poli at Aintree in December. He was making some progress last time when brought down at the Festival, and perhaps Master Trainer Nicholls has worked the Oracle and it’s possible we will see a much better performance on Saturday. However it is still hard to understand why the bookmakers have made him favourite and is impossible to recommend. The Irish record in this isn’t great with only three victories in the last twenty years, but anything Willie Mullins runs has to be taken seriously and his 10yo Sir Des Champs would be of interest if turning up. This triple Grade1 winner fell at the Chair in the National but wouldn’t have found the soft ground ideal. He has won five of his seven races going right handed, is not badly handicapped and on what is likely to be decent ground at the weekend could easily outrun his odds of 25/1. David Pipe’s Batavir heads the market at around 5/1, and certainly looks the pick of his two runners, as the second string Taj Badalandabad seems better suited by shorter than Saturday’s test. Having been successful in three of the last ten renewals, Paul Nicholl’s two candidates bear close inspection. Last time out his 6yo Silsol ran as well as could be expected, when finishing 5th, (btn 18l) behind Rock on Ruby and co, at Cheltenham on New Years Day. Prior to that he had looked very progressive, winning three races in a row, culminating with a victory at Newbury off a mark of 144. This was fully 20lbs higher than his previous handicap win off 124 at Ayr in April. Now raised to a mark of 151, one feels He can still be competitive, as stamina shouldn’t be an issue, (has won over 2m6f Newton Abbot) and is one for the shortlist. Nicholl’s other runner, the ex French 5yo Rothman is interesting. On only his 2nd racecourse appearance, in testing ground, he collected a £12,000 first prize at Pau in the French provinces, last January. He disappointed, when odds on for his British debut at Newton Abbot in April, and further disaster followed when falling at the first on his seasonal reappearance in November. He showed considerably more promise last time at Taunton finishing 4th 5 3/4l behind Pull The Chord. Although a 5yo has failed to win this over the last decade four have been placed, so coming from this yard, and with his featherweight of 10st1lb it would be no surprise to see him involved at the business end on Saturday. David Pipe’s Batavir (also engaged Welsh Champion Hurdle Saturday) heads the market at around 5/1, and certainly looks the pick of his two runners, as the second string Taj Badalandabad seems better suited by shorter than Saturday’s test. Batavir, a French bred 6yo has been highly progressive since making his British debut at the end of November. He has collected a cl3 hurdle at Ascot (Dec19th 2m6f sft) of a mark of 119, and followed up seven days later with a win in a cl2 at Wincanton off 125 (2m6f gd/sft). Raised another 7lbs for Saturday, he still looks well treated, and has a nice racing weight of 10st7lbs. He is also entered in the Welsh Champion Hurdle (2 1/2mls) on Saturday, but the right handed track and distance of the Sandown race should be much more in his favour, so presumably he will be heading in the Esher direction at the weekend. Definitley one for the short list! Neil Kings highly consistent 7yo Saffron Wells, ran one of the best races of his career, over the Sandown course last March ( 2m4f cl1 ) where he finished a staying on second on soft ground off a mark of 126. Back to the scene of that sterling performance it isn’t difficult to envisage him running another good race, but it has to be said, that despite failing to hit the back of the net since, the handicapper has been relentless, and he is now racing off a mark of 135. Harry fry’s Polamco is another with a progressive profile. A winner of his last two races he is only 4lbs higher than last time, where he had Saffron Wells 2 3/4l back in third. ( Dec2 Newbury 2ml 5f ). He did race very freely, so ridden with more restraint on Saturday, although 3lbs worse of with Saffron Wells, he must have excellent prospects of confirming the form. Despite mistakes three out and at the last, Emma Lavelle’s 6yo Junction Fourteen got to within 7l of Batavir at Wincanton, and is now 7lbs better off. He also holds another of Saturday’s contenders, Little Boy Boru on Newbury running in November, so it would be no surprise to see this son of Kings Theatre getting involved. Fourth of four doesn’t seem like much of a recommendation, but the race that Foryourinformation finished last in at Newbury in November worked out extremely well, with the three animals ahead of him all winning next time out. The third horse that day, Tea For Two ( who was receiving 2lbs ) and 2l ahead of him, absoloutely hosed up in a cl1 handicap at Kempton by 16l and 1l from Little Boy Boru and Saffron Wells. A strict interpretation of the form would give Rebecca Curtis’s lightly raced 6yo every chance on Saturday, but he is more likely to take up his engagement in the Welsh Champion Hurdle. Of the Longsdon two runners I prefer the stoutly bred Harristown, ( by Bering out of a Sadlers Wells mare ). So far he has been campaigned at shorter distances, and is bound to be suited by Saturday’s step up in trip. He wasn’t stopping last time out over 2m3 1/2f on testing ground at Lingfield where he was just held by Lightentertainment, who has gone in again since. He seems to handle heavy ground particularly well, so any deterioration in conditions would be in his favour. Paul Nicholls’ Unioniste is the Oddsguru racing tip to land the spoils at Sandown. After such an intense period of high class racing Saturday’s fare comes as something of an anticlimax. However the finale at Sandown, a class 2 handicap chase over 3ml 1/2f with a guaranteed pot of £50,000. Promises to be a highly competitive and interesting affair. Favourite backers should beware as the ” jolly ” has failed to hit the back of the net over the last decade. Weight has been significant in the same period with no animal carrying more than 11st 6lbs to victory. Age has not been significant, with 7yo’s to 11yo’s winning. No stable has dominated over the past ten years, but the currently high flying Venetia Williams has had a winner and a placed horse from only seven runners. 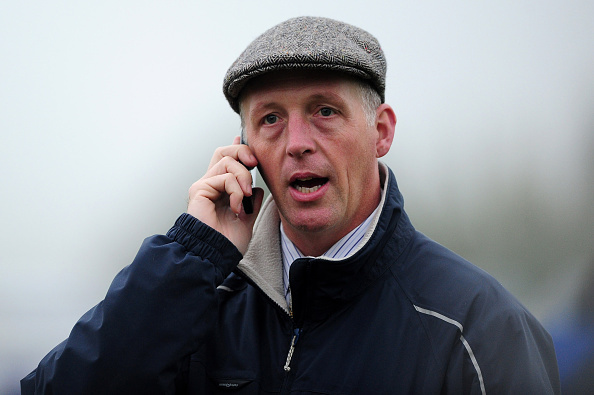 Gary Moore’s only entry in the same period was placed and the Nicholls yard has managed two places from ten runners. 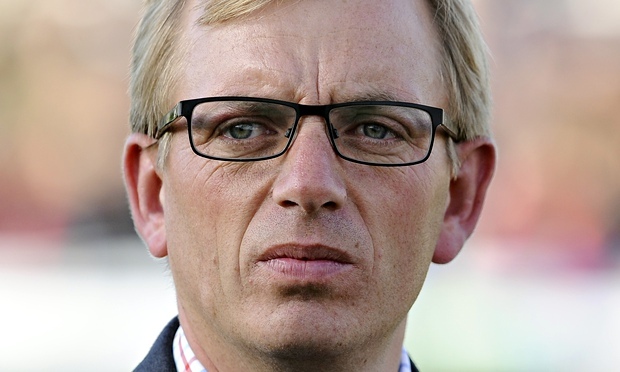 Philip Hobbs has had two placed from only three runners. So what of this years renewal? Having won last year with the 7yo Katenko, Venetia is going for the double with the 11yo veteran Relax. A course and distance winner last Febuary, following a nine month absence, he reappeared at Chepstow four weeks ago, and acquitted himself well, finishing fourth 15l behind Rebecca’s Choice. Now racing off a mark 2lbs lower than Chepstow he is well worth considering, particularly if conditions deteriorate as he handles testing going well. Despite some indifferent jumping, Paul Nicholls 8yo Unioniste made a highly satisfactory reappearance in the Hennessy Gold Cup at the end of November. Considering he was struggling in last place after fourteen fences he did well to finish in sixth, running on strongly through beaten horses. As this was his first outing for nearly eight months considerable improvement can be expected. He has yet to win going right handed but there is no reason to think that he will be inconvenienced by Sandown. The handicapper has been generous in dropping him 3lbs since Newbury so it is not difficult to imagine him running on strongly up the Sandown hill, so definitley one for the short list. Leading trainer at Sandown Nicky Henderson runs top weight Triolo D’Alene. He looked to be a chaser going places when winning two good races in April 2013 and was as short as 10/1 when running in the Gold Cup where he finished 10th. He got as far as Beechers the second time when pulled up in the National,and was diagnosed with a breathing problem. He again failed to complete on his reappearance in the Hennessy, but as it was his first run since Aintree perhaps he can be excused, and coming from this yard it would be no surprise to see this classy animal involved on Saturday. Winner of his last two races Philip Hobbs’s Bertie Boru is of interest. He stayed on well in a truly run race at Newbury ( 2ml 6 1/2f sft ) to suggest that Saturday’s trip will be well within his compass. Relativley lightly raced, he has been raised 6lbs for his Newbury efforts,but this still leaves him with a nice racing weight of 10st7lbs. As all ground comes alike to him, and he is effective going right handed, his prospects of bringing up the treble on Saturday look rosy. Tom George’s ex Irish What’s Happening with his light weight of 10st3lbs is worth a second look . He ran well last time over 3ml 5 1/2f at Sandown finishing third. He probably didn’t quite stay that day and will be better suited by Saturday’s distance. A winner of two chases,both going right handed in his native country, the weekend test may well be right up his street. Course and distance winner Firm Order is stepping up in class, but with only 10st2lbs to shoulder he must be considered. Last time out he stayed on well to beat the 13/8 fav Handy Andy over course and distance, and has only been raised 3lbs, so it would be no surprise to see him involved at the business end. A reproduction of vino Griego’s Aintree form in April, when just run out of it by Duke of Lucca, with Unioniste back in eighth would give him every chance. However he ran so poorly in the Hennessy, despite his excellent trainers good Sandown record, is passed over.